Dungeness crab season is here and people are standing in long lines at the Asian Supermarkets to get some crabs for $1.99-$2.99 a pound. I haven’t been to the Asian supermarket lately, so I haven’t seen how chaotic it is, but I’m looking forward to going in the next few weeks to see people fight over crab. It’s pretty entertaining. Last weekend Jane’s roomies from college hosted their annual Thanksgiving get together. Instead of having turkey and traditional food you see at Thanksgiving, we had clams, ribs, chicken wings, pomelo salad, tamarind shrimp, and each person had their own Dungeness crab. There were tons of leftovers and Jane and I took home a whole crab and removed all the meat to make something for dinner on Monday night. 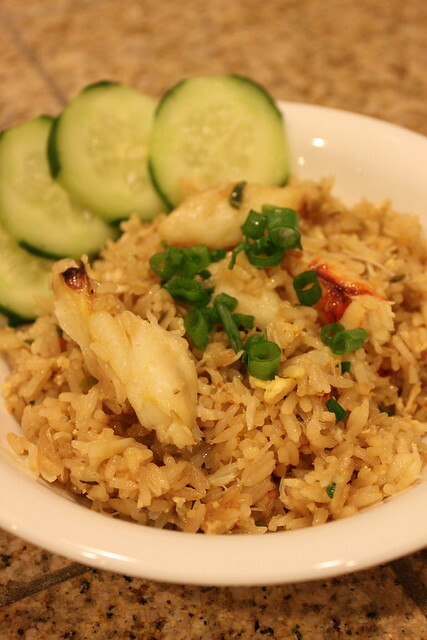 This is a quick Vietnamese/Thai Crab Fried Rice. If you don’t like the chilies you can feel free to omit it, but i think it wouldn’t taste the same without it. 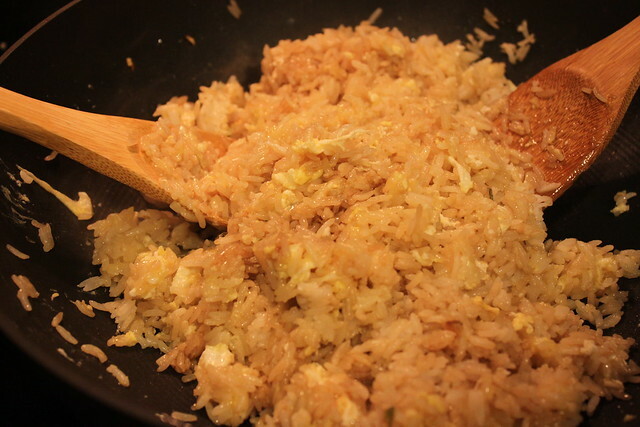 For fried rice, I usually like to use day-old rice but since I didn’t have any available, I cooked the rice, fluffed it up with a fork, and put it in the freezer for about 15 minutes, and then the refrigerator until I’m ready to cook for it. It seems to work. As long as it is cooled, it will cook fine. Mince garlic, chilies, jalapenos and chop scallions and set aside. Add a little oil to wok and turn heat to medium. Add the garlic, chilies, jalapenos, and white part of scallions and cook for about 5 minutes or until all the flavors and aromatics are released. Turn the heat to Medium-High, add crab meat,1/2 tablespoon of fish sauce and gently stir fry until all the flavors are combined. 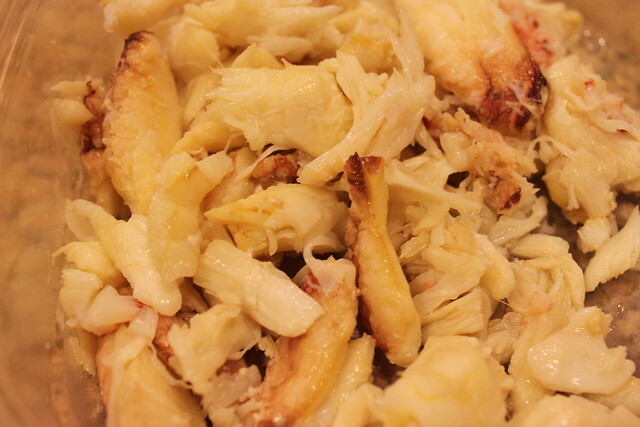 Put the crab in a small bowl and set aside. 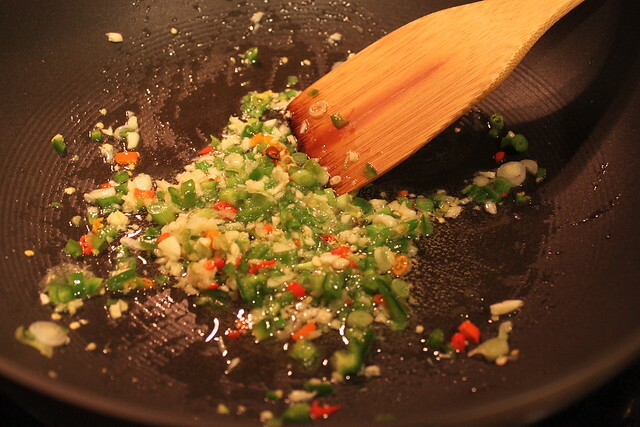 Turn heat to High, add 1 tablespoon oil to the wok and begin cooking rice. While rice is cooking, add remaining fish sauce, Maggi seasoning, and sugar and continue stirring constantly. Move rice to the side of the wok to create an opening in the middle to scramble eggs. 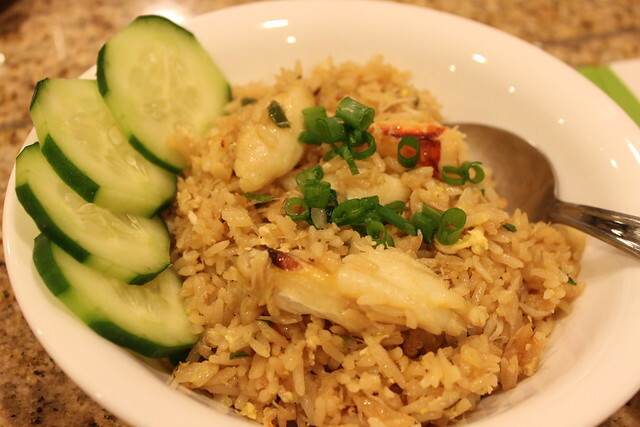 Scramble the eggs, add the crab and mix thoroughly into the rice. Add green part of scallions at the end and stir fry until everything is mixed together.